The Taste of Redland Locavore Culinary Experience is an agritourism program of farm-to-table dinner & brunch events featuring renowned chef's Cindy Hutson, Norman Van Aken, Michelle Bernstein, Santiago Gomez, Carlos Garcia, Dewey LoSasso, Sebastian La Rocca, Luis Pous, Abraham Silva, Allen Susser, Maxi Fava and many more. 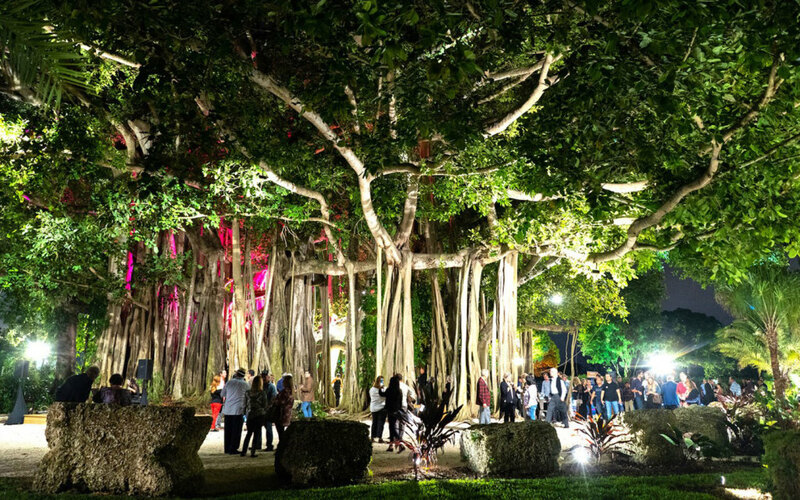 The Locavore Culinary Experience offers one-of-a-kind outdoor events hosted on beautiful farms and in some of the most breathtaking venues, to include historic estates and private homes featuring tropical gardens, hammock forests, exotic koi ponds, meditative walks, cascading waterfalls, lush farms and even one of the largest Banyan trees in the world! The Locavore Culinary Experience is a program of dinners and brunches that will feature Miami Spice chefs as well as top chefs from Palm Beach to Key West. They will craft world-class creations in spectacular open-air kitchens provided by Panache Events with Redland-Raised and Fresh-from-Florida produce, exotic local treats and your favorite proteins. It is all about being local and celebrating Floridas culinary offerings.